Ministry of Health and Family Welfare has launched two new contraceptives, an injectable contraceptive MPA under the ‘Antara’ programme and a contraceptive pill, ‘Chhaya’, in the public health system to expand the basket of contraceptive choices to meet the emerging needs of couples. The contraceptives, which are available for free in Medical Colleges and District Hospitals at present, have so far been launched in 10 states that includes Maharashtra, Uttar Pradesh, Madhya Pradesh, Rajasthan, Karnataka, Haryana, West Bengal, Odisha, Delhi and Goa. 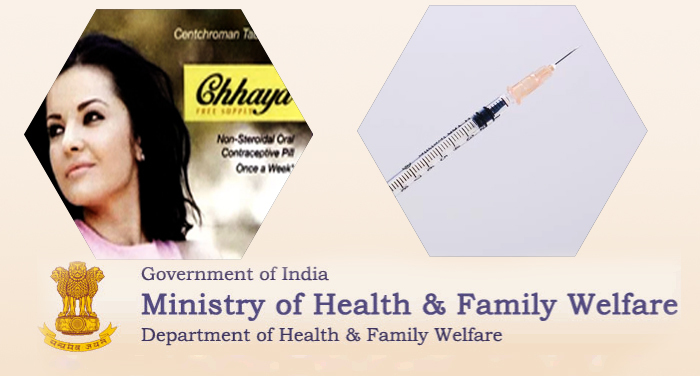 The contraceptives are safe and highly effective, the ‘Antara’ injectable being effective for three months and the ‘Chayya’ pill for one week, and will help meet the changing needs of couples and help women plan and space their pregnancies. Training of healthcare practitioners from all the states has been completed as well, with a pool of state and district level doctors and staff nurses being trained to support the roll-out. To help improve the supply and distribution of contraceptives, the Ministry had recently launched a new software, Family Planning Logistics Management Information System (FP-LMIS), designed to provide robust information on the demand and distribution of contraceptives to health facilities and ASHAs. In addition, Mission Parivar Vikas, a central family planning initiative has also been launched by the Ministry. The key strategic focus of this initiative is on improving access to contraceptives through delivering assured services, ensuring commodity security and accelerating access to high quality family planning services.